Fishing opportunities first attracted settlers to Destin in the 1800's. Today, Destin is home to Florida's largest and best equipped fleet of deep sea fishing charter boats. If shallow water water fishing is your choice specialized boats and guides are available for fishing expeditions on Choctawhatchee Bay and it's fresh water tributaries. Dolphin and sunset cruises aboard the 80 foot, glass bottom boat the Southern Star, Destin's original dolphin cruise boat. This relaxing 2 hour cruise is a great experience for the entire family and has been featured on CNN and National Geographic. The boat is climate controlled and features snacks, gifts, rest rooms and a sound system. During the narrated trip kids get to steer the boat, feed the birds and all aboard get an up close view of the area's sea life. Legacy Boating Club is for people who enjoy boating but prefer not to own a boat. The club owns and professionally maintains a fleet of beautiful powerboats up to 30' including cabin cruisers, offshore fishing boats, sport boats and deck boats. Legacy is the hassle-free, affordable alternative for luxury boating on the Emerald Coast. We're a friendly, family run business that strives to give maximum value for your vacation investment and create great memories from your time in Destin. We offer the largest privately owned center console catamaran fishing boat in Destin that's stable in the water with ample deck space for fishing and families. 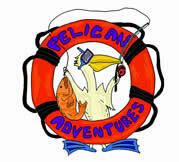 Also Pontoon boat, Jet ski, Kayak and Paddle board rentals. Whatever you would like to do on the water here in Destin we can help you!